Robotics are expected to become so sophisticated, hospitals may not need surgeons. Controlled by healthcare assistants, the machines will soon be delivering babies by carrying out C-sections as well as other surgeries, say experts. The predictions are based on the report by the “Commission on the Future of Surgery” set up by the Royal College of Surgeons in 2017, the Daily Mail reported. According to the report, the robots controlled by healthcare assistants such as technicians are expected to conduct vaginal surgeries and operations on the bowel, heart and lungs. This will help advance diagnoses of illnesses like cancer before they destroy organs and, as a result, operations will be smaller in scale and less traumatic. Even healthcare assistants — who do not need any formal qualifications to get a job — could one day be trained to perform C-sections with the robots, The Telegraph reported. “This is always going to be under the watchful eye and careful supervision of a surgeon,” Richard Kerr, neurosurgeon at the Oxford University and Chair of the commission, was quoted as saying. “These are highly qualified healthcare professionals and they will be trained in a specific aspect of that procedure. 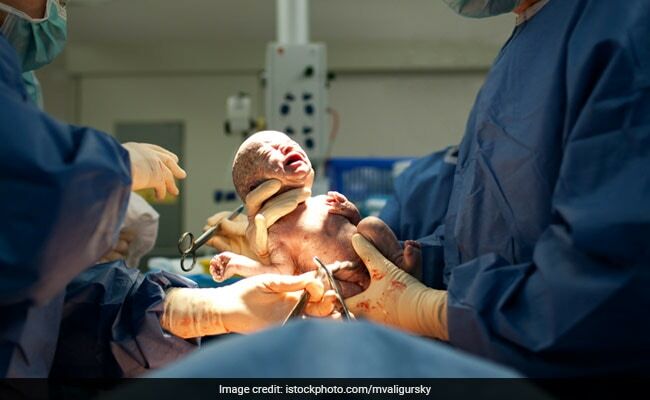 While some applications of robots and DNA-based medicines are expected to happen sooner than others, those with healthcare assistant-led C-sections is possible within five years, the report said. However, the experts warn that the use of robots in surgery could be controversial. This is in light of an investigation which revealed that a 69-year-old man in Newcastle died when a robot was used to carry out his heart surgery in 2015. The commission’s report also claims that major cancer operations could become a thing of past because screening DNA will pick up diseases earlier, before they ravage the body. Similarly, people with severe forms of arthritis could be identified early on and faster treatment might reduce the need for major hip and knee replacement ops.